Lilli spent two years as Larry’s first assistant training under Larry’s watchful eye and qualifying when we opened in January 2017. Lilli has fast become one of the most sought after stylists in the salon, with a now cult following and is often described as a mini Larry. Having worked with the likes of Poppy Delevigne, Karlie Kloss, David Gandy, Neelam Gill and with brands such as Maybelline, GQ and Elle. Lilli is one of the salon’s rising stars, with her killer blow-dries and a styling repertoire that extends far beyond her years. 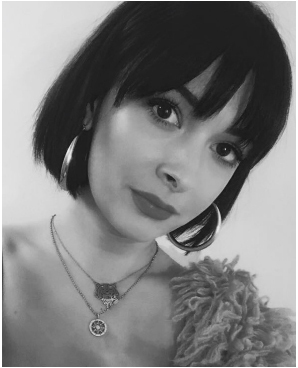 Book Lilli for anything from a mega blow-dry to a major change, Lilli’s fresh enthusiasm about hairdressing will ensure you leave with something modern and refreshing and her Insta stories will have you laughing out loud for days.